The Handmade Fair – who’s in?! I have a very exciting offer to share with you all, dear readers! I went to the very first Handmade Fair and had such an amazing time. 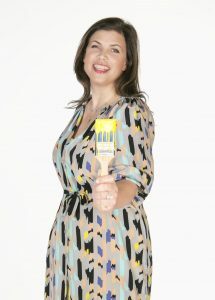 I found it so inspiring to try out different crafts and workshops – I particularly loved the Annie Sloan master class! I’ll be there on the Sunday and I will organise a little sewing meet up over a cuppa with anyone there that day. Let me know if you are going to be coming along!